Taramana > Actualités > Au Cambodge > Projet photos : des enfants dans le vent et en mouvement! Projet photos : des enfants dans le vent et en mouvement! All during March, Taramana kids have been through the Center’s library one after another to be photographed by Marion Napolitano, a “former” volunteer assisted by Julie Barbier, our resident nurse, who somehow always seems to find the slightest opportunity to slip away from her official medical duties. 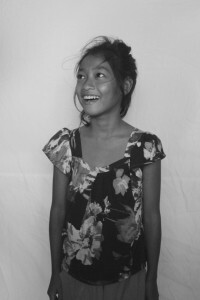 More than 150 children at the Center have already been photographed and the final results are expected to be brillant. Four large panels of unique and fun snapshots of some very cheery kids will eventually be displayed for everyone’s viewing pleasure. 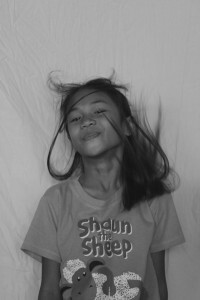 There were some real sessions of pure laughter when the kids were asked to spin around or to jump up in front of the white curtain set up for the shots. The entire Taramana staff and volunteers took part in the shooting and all had some photographic fun.